Teachers, There Is Some Good News! | Georgia Teachers Speak Out! Teachers, There Is Some Good News! 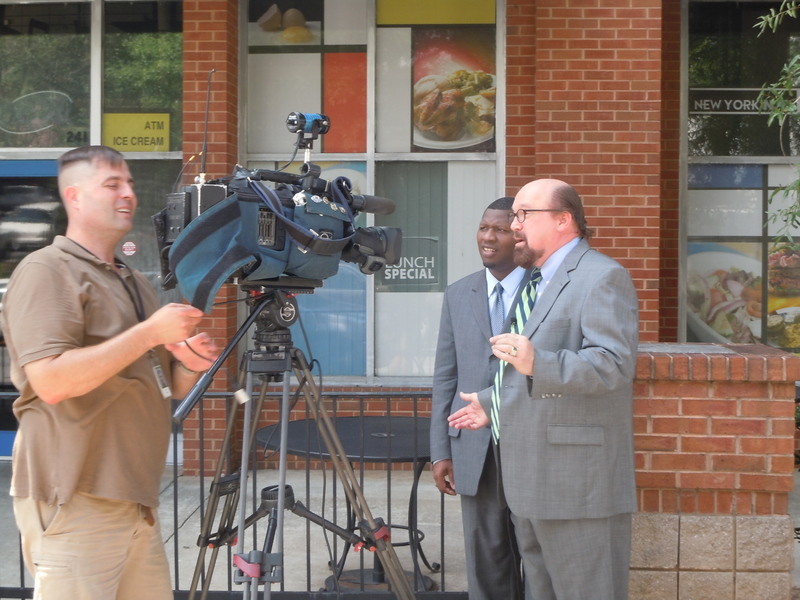 Dr. Trotter and Mr. Haynes being interviewed by Fox5 News about the cheating scandal in the Atlanta Public Schools. Teacher, Do you feel powerless and voiceless? Are you tired of Disciplinary Problems, Paperwork, Unfair Evaluations, Administrative Snoopervision, Lack of Administrative Support, Consistency, etc., in Student Discipline, Lack of Parental Concern, Student Apathy, Incompetent Administrators, Angry and Abusive Administrators, Disruptive and Defiant Students, Irate and Irresponsible Parents, Overcrowded Classes, Lack of Supplies, Non-Instructional Duties, and Useless and Inane Meetings, just to name a few Stressors in Today’s Public Schooling Process? If not, then good. If so, however, then you are among the many public school teachers who are just tired of being tired. 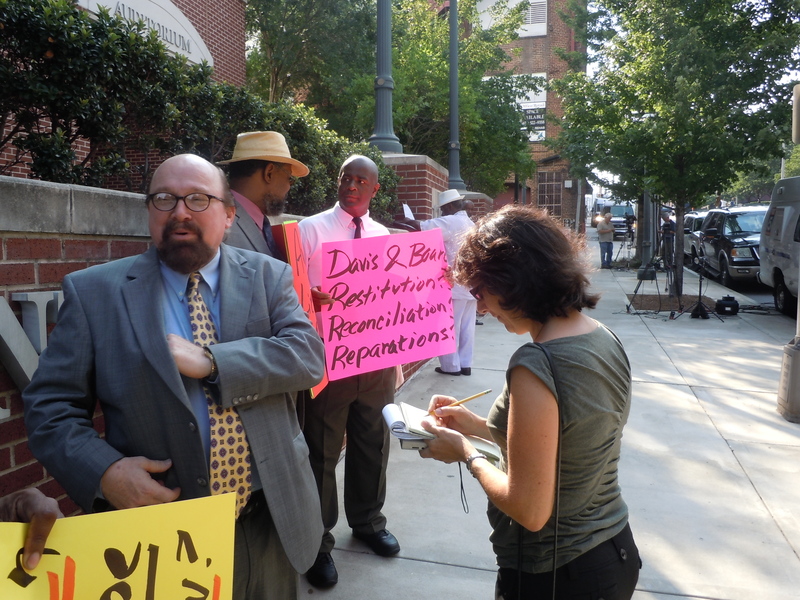 Dr. Trotter is being interviewed by Atlanta Magazine at the MACE Picket Line. 8 Responses to Teachers, There Is Some Good News! GODSPEED on your ministry to improve public education. Georgia’s future may hang in the balance. Let’s spread the solidarity that is MACE throughout our state. Don’t our teachers from Rabun Gap to Tybee Light and from Walker County to Donalsonville deserve the best in professional representation. Get MACE. Dr. Craig: Thanks for your constant help! John. You and your crusade deserve all the help I can give you and more. Even though we are expected to do perfect instruction, we are not given adequate time to plan. We must spend all day in workshops while we should be planning and organizing our classrooms. There are too many chiefs in our system who defend their jobs by giving us more to do. So long as we Georgia teachers acquiesce in job-defense by highly compensated educrats as they protect themselves and their big-money salaries and perks at the expense of our kids’ learning and in the face of our professional judgements, we deserve how badly these aspiring Napoleons treat us. We must unite in the face of this and other blatant examples of educratic self-interests’ trumping our kids futures and our professional integrity.